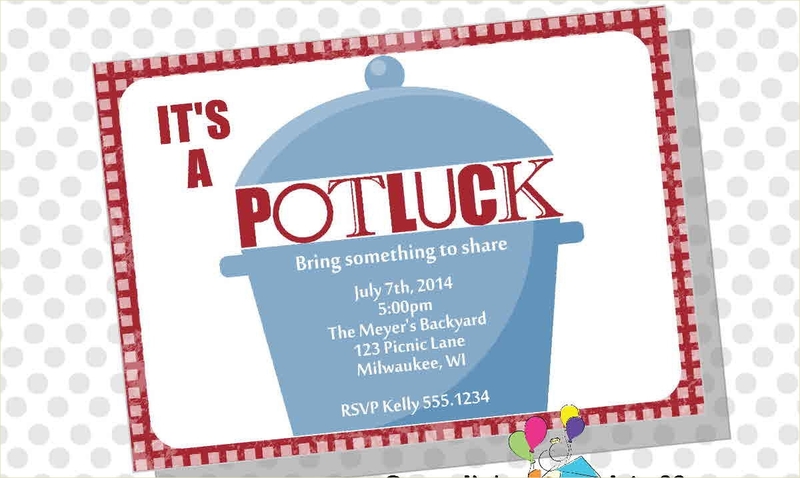 Potluck has been a classic tradition of how a social group gathers together for a celebration. In a potluck, each guest brings their own dish to share. It is basically a communal feast where everyone takes part in the preparation of the food while one organizes everything from the venue to party. 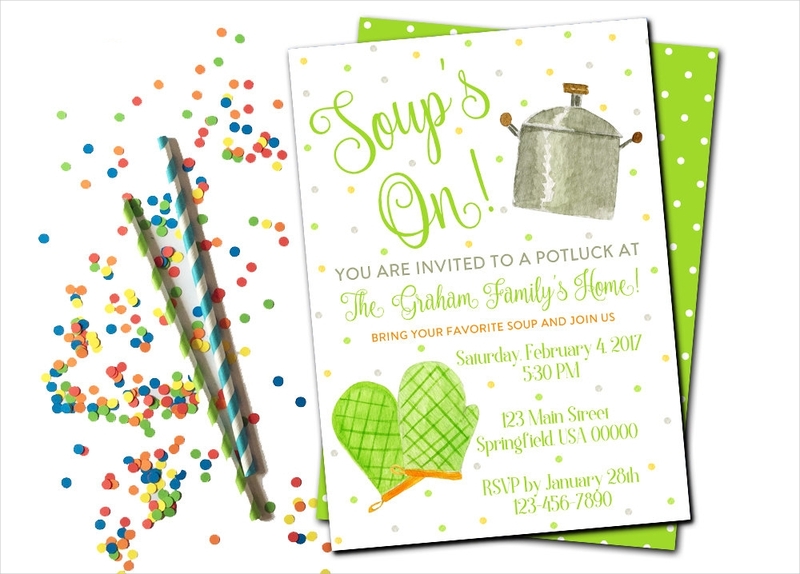 You can find different sorts of invitations online that are not just limited to Wedding Reception Invitations. 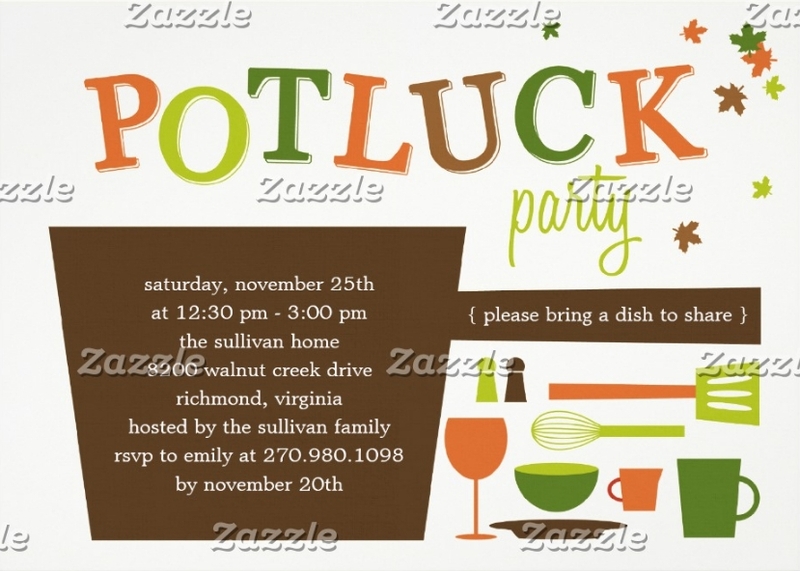 Potluck invitations are also available. Add your personal details to the templates you can find. 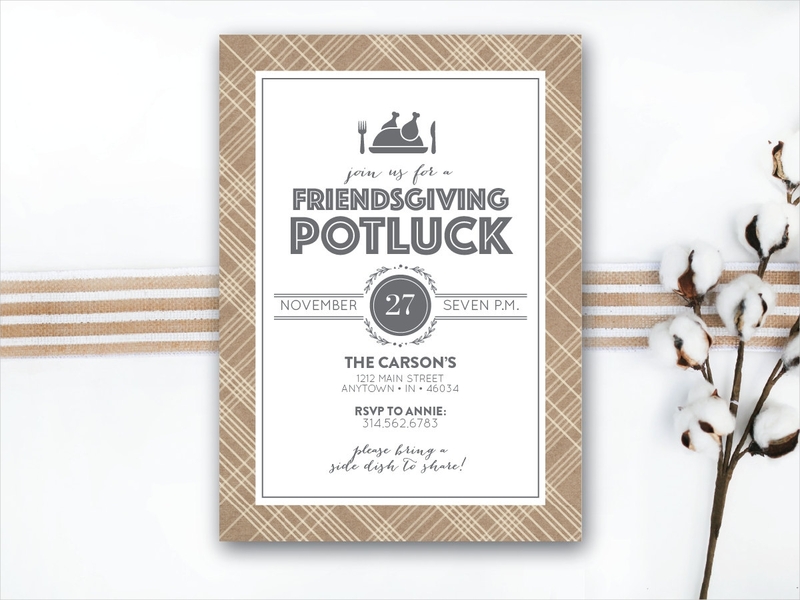 Have a great time with friends and family that you have invited using the invitations you find online. Invitations, in general, have the same content. This is why you can recycle Holiday Invitation Templates and edit it to invitations for other events you wish to use. 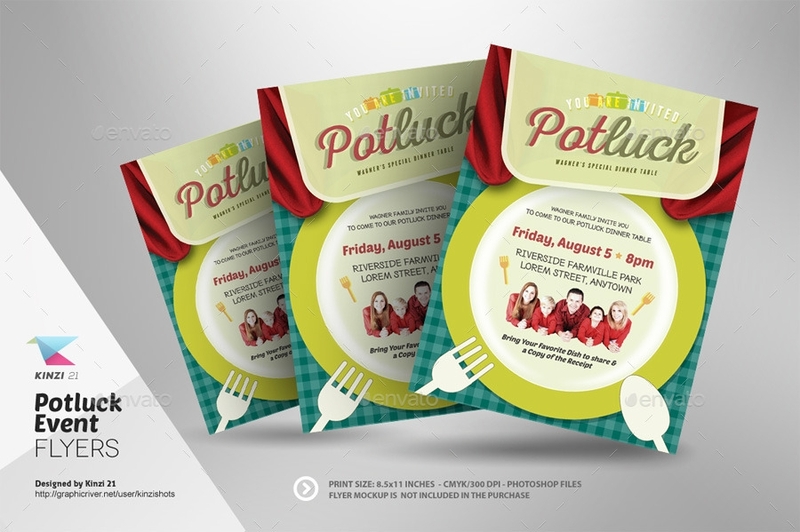 Usually, the main difference is the design of the invitation suited for its purose. Know the default contents of an invitation from the list below. Details of event – the basic details found in an invitation include the date of the party and the time it starts, though, some invitations also include when the party ends. This is just to make sure that your guests would have an estimate of the length of the party. 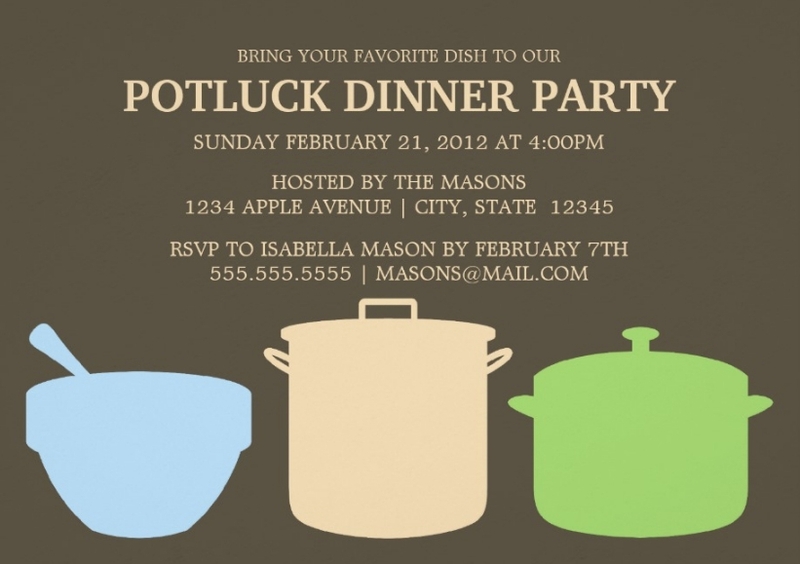 In potlucks, you can also include the variety of food that guests can bring. The reason for the event – is it for a birthday, anniversary, or reunion? 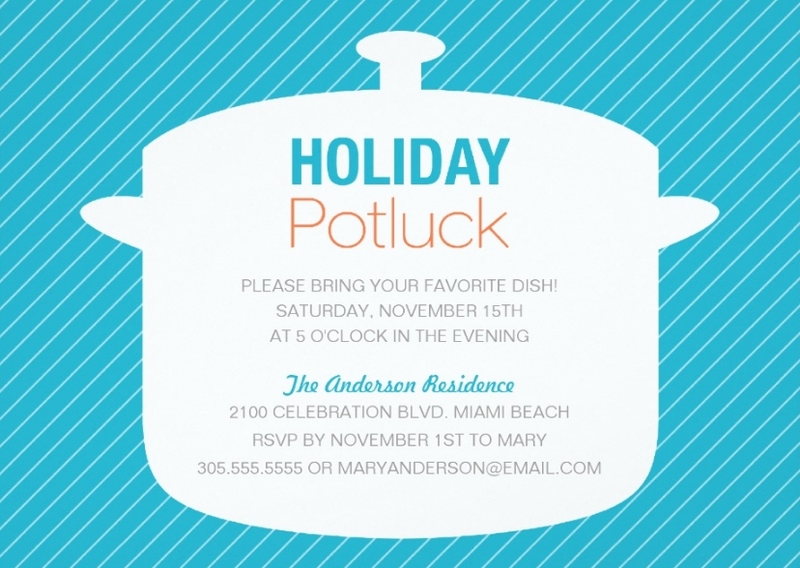 Tell your guests what the occasion is and why you are inviting them for a potluck. This can also be the header for your invitation. You don’t need to explain in length, a few words will work just fine. Contact details – it is important that you leave a number on how guests may contact you. 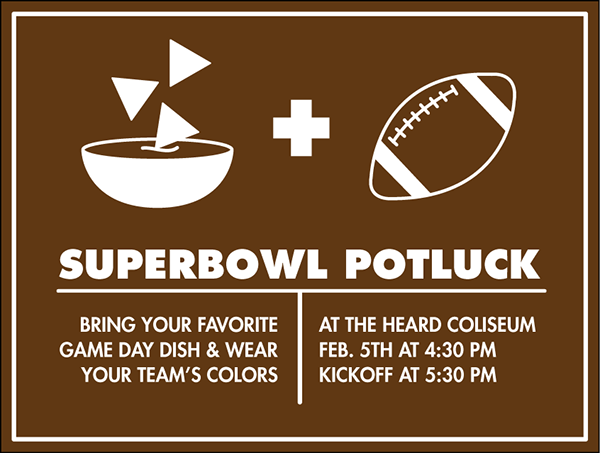 This is both for their attendance and for the dish they would bring during the potluck. Make sure that the information you add on your invitations are the right ones. Putting in the wrong date or time may confuse guests and would cause a bigger damage to the party. Choose appropriate text fonts and styles to keep the texts readable. Guests should be able to clearly see all the details you have included. 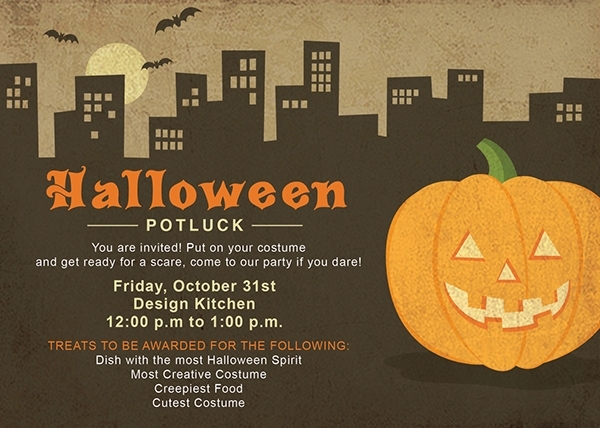 Send the invitation cards ahead of time so everyone can prepare for the party. 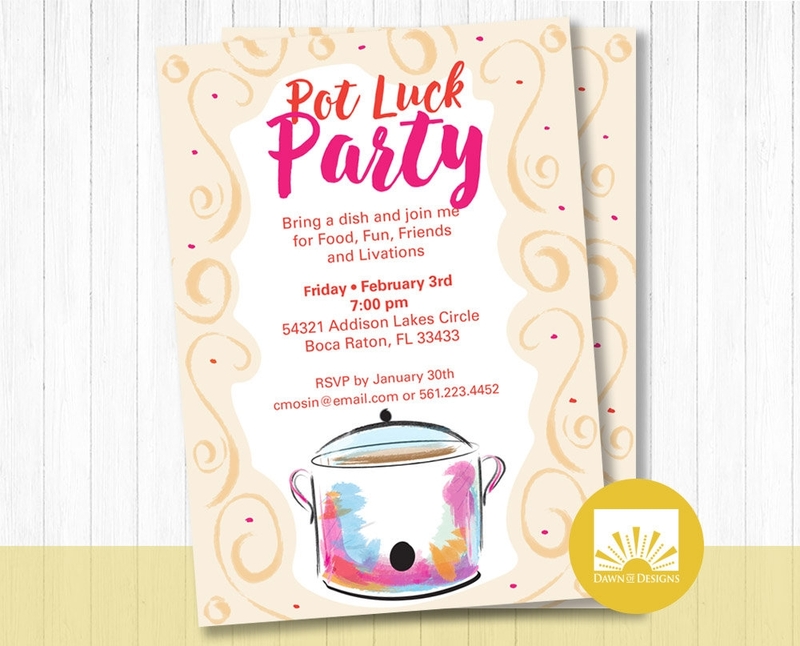 You will also benefit from this since you will be able to collect RSVP’s and estimate the total number of attendees for the party. Don’t forget your contact details or the contact details in-charge of the party. This is to coordinate the dishes that people will bring to the venue and save having the same type of dish made by different people. If there are any changes after you invitations have been printed or sent out, inform the guests right away to make corrections. To avoid this tedious task, review everything before you give your invitations.